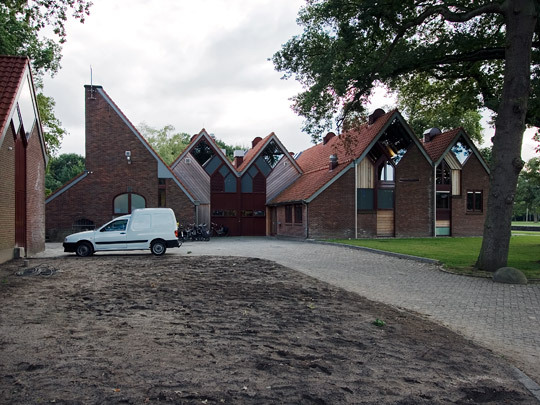 Here Blom took an old farm and gave the existing structure an interior packed with surprising spatial effects: the very antithesis of the objective architecture otherwise characterizing the campus. Voids link the two storeys in such a way as to create the effect of one large attic space below the original roof. The building is at present a Science and Society Enquiry Centre for the Technical University.